The White Hart pub (opposite St Andrew’s Church at 12 St Andrew’s Road) dates from the seventeenth century, and is believed to have been the inn known as “Joan of Headington’s” from the 1650s. It retains some of its original panelling and doors. Its outbuilding at the back (facing on to the Croft) is also listed. (265) The White Hart Inn, on the S. side of Church Street, opposite the E. end of the church, is of two storeys with cellars and attics; the walls are of stone and the roofs are tiled. It was built in the 17th century and contains some original panelled and battened doors. In the seventeenth century, Headington was a favourite destination of Oxford academics wishing to take a walk into the country. As the present main road through the centre did not exist at this time, after reaching the top of Headington Hill they would have had to go along Cuckoo Lane. This passed close to this alehouse, which was then kept by the infamous Joan of Headington, who evidently offered students other services along with their ale. 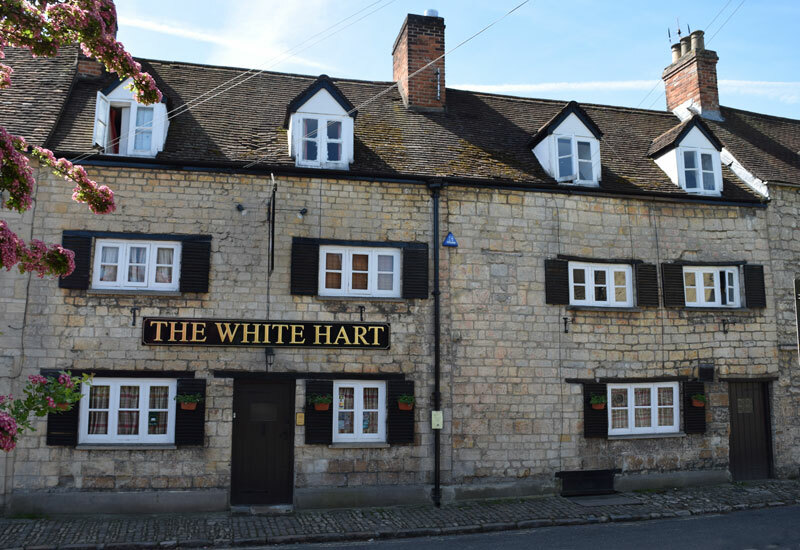 By 1750 the inn had become more respectable and it was about this time it was given the new name of the White Hart. In 1829 it was purchased by Hall’s Brewery. The White Hart, which had stabling for six horses round the back, was the annual meet for the South Oxfordshire Hounds, who used to hunt around Marston. It was also a centre for the mummers. A 26 feet-deep well was discovered in the back courtyard in 1976, but it was covered for safety reasons. The pub was owned by Six Continents in the 1990s, but was bought by Everards of Leicestershire and refurbished by them in 2003.